Some of the most publicized types of SEC whistleblower cases are those that involve illegal insider trading. The use of the adjective “illegal” is an important factor to understand because not all insider trading is illegal. 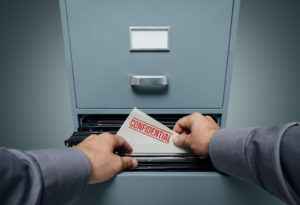 It can be difficult for a potential SEC whistleblower to decide whether certain insider trading conduct that they have information about is a good candidate for an SEC whistleblower case. When corporate insiders (officers, directors, and employees of a public company) buy and sell shares in the company they work for, it is called “insider trading”. Insiders must report those trades to the SEC on specific forms, disclosing the trades and certifying that all guidelines and restrictions have been followed. As long as these procedures are followed, those trades are normally not considered illegal unless there is other misconduct involved. Illegal insider trading can occur when an individual buys or sells (trades) public securities based on material non-public information. Often times the individual also has some sort of fiduciary or confidential obligation to protect the material information, but not always. It can also be a violation to act as a “tipper” and pass along material non-public information to others (“tippees”) who then trade on that information. Furthermore, a tippee who knowingly trades on material non-public information may be committing a fraud, as well. All of these actions are potentially illegal and could lead to an SEC whistleblower case against the transgressors. Because trading on inside information can destroy confidence in the public securities markets, create unfair trading environments, and disrupt the orderly flow of capital, the SEC vigorously pursues insider traders. Any other business or individual who knew or should have known that the information they have is material non-public information, but who nevertheless trades upon it or provides it to someone else. In the case of tippers, there is usually some personal gain or benefit to them from giving the tip, or they intend for the recipient of the inside information to trade on it (the tip is like a gift). There is no minimum number of violations that must occur for the Commission to initiate an SEC whistleblower case based on insider trading. SEC whistleblower cases can be brought for as little as one illegal insider trade or tip. SEC fines individual for illegally trading ahead of news announcements using information obtained by hacking company’s computer systems. Failure to prevent insider trading results in over $8 million SEC fine. SEC charges hedge fund managers and former government official with insider trading.